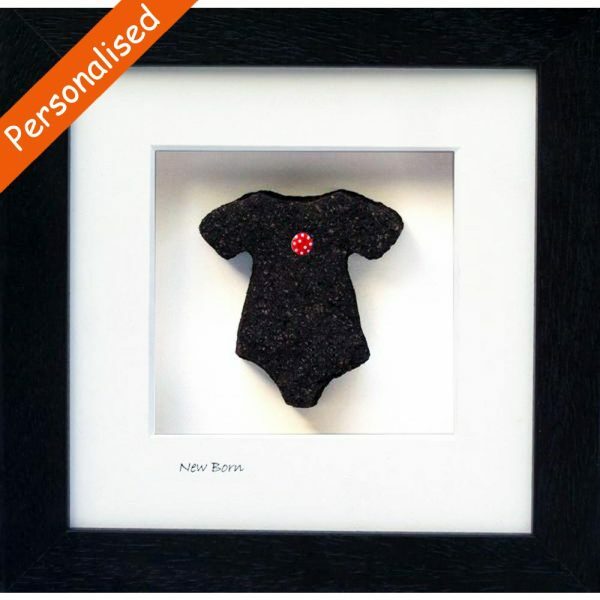 Entitled ‘New Born’, such cute personalised Baby Gifts, bring a smile as this gift will be treasured. This unique gift is cut from Irish peat turf in the shape of a baby’s onesie with a red polka-dot button, suitable for baby boys and baby girls. Cut from a bog in the heart of Ireland.